Duratrax Warhead and HPI Savage. which offers 50% more durability. Perfect fit and porportions for the T/E-Maxx trucks. Protective film to prevent overspray. 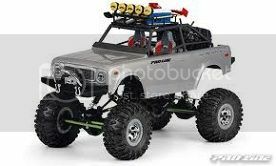 Clear Body Only fits 2.2" and Scale Rock Crawlers T/E/2.5 MAXX (R), Savage. Includes Decals. 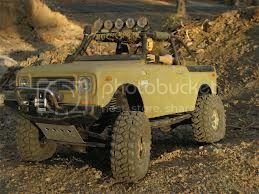 Roll cage Not included. 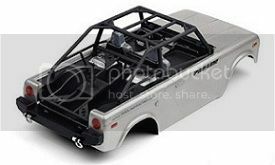 Check the box if you want a Roll Cage, $00.00 will be added to your total.